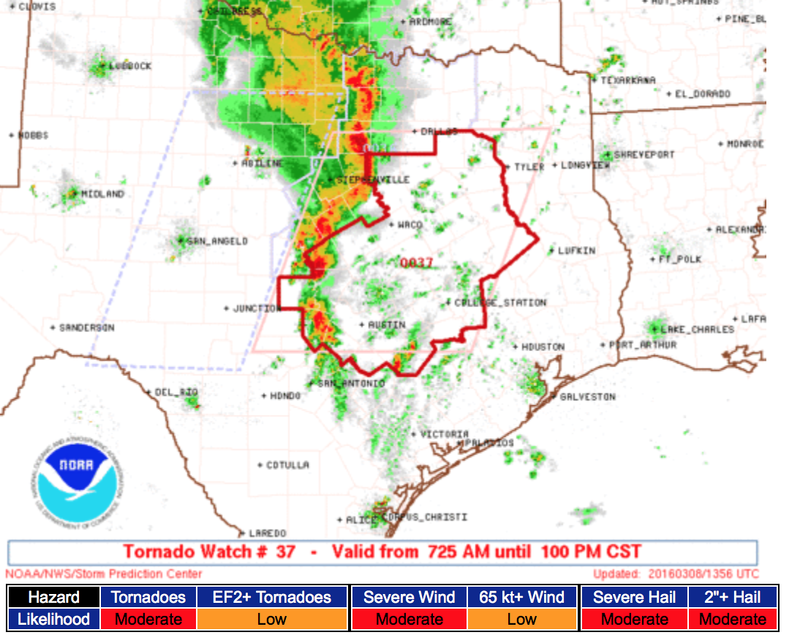 A tornado watch is already out in Texas. 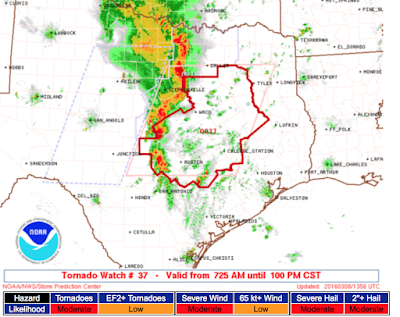 The significant tornado threat is in brown. 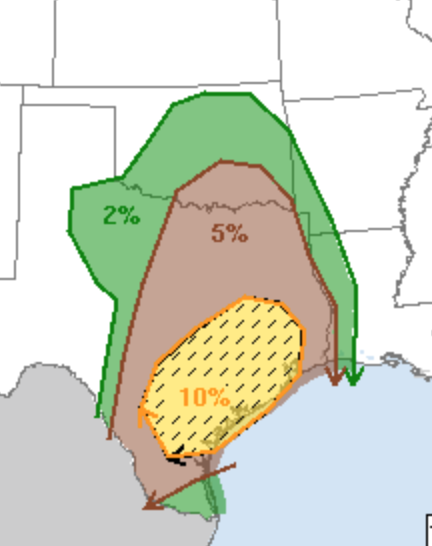 The 10% (yellow) is an elevated risk. The hatching means violent tornadoes are possible later today and this evening. I'm in Dallas. We're watching this situation pretty closely. A rude awakening today. Yikes.